Pulling up to the local grocer, and about to inspect the “back door”, I encountered a half dozen youngsters on mountain bikes. “Check it out! I’m a legend”. A couple of boys (the older ones) backed away. As for the tykes, their eyes lit up as they picked out all the tiny bike bits in Craig Coss’s (future) prize-winning design. I asked their coach his name, (Ryan Loften). 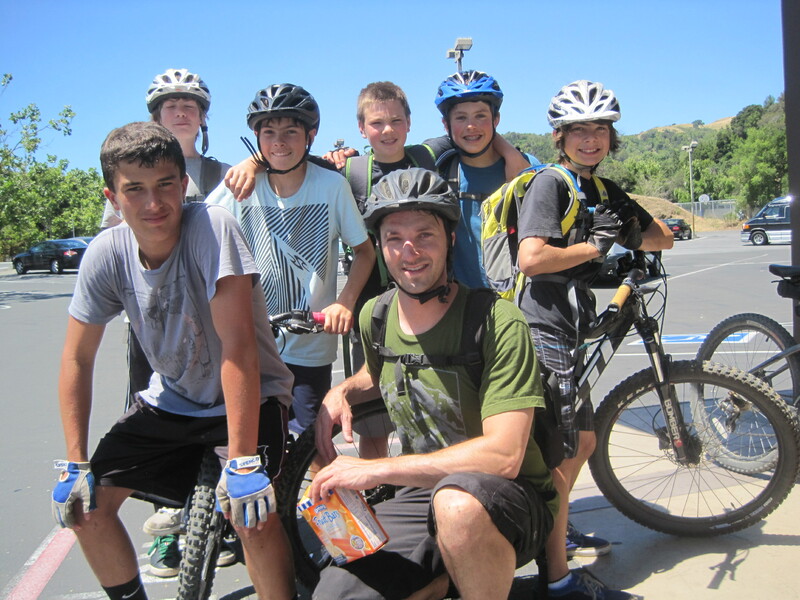 He told me he runs a camp called Mt Tam Bikes camp. I asked the kids their names. I repeated all six back, but please don’t test me now. Raden is the only one I can remember. These were Ryan’s eagle riders, friends more than clients. 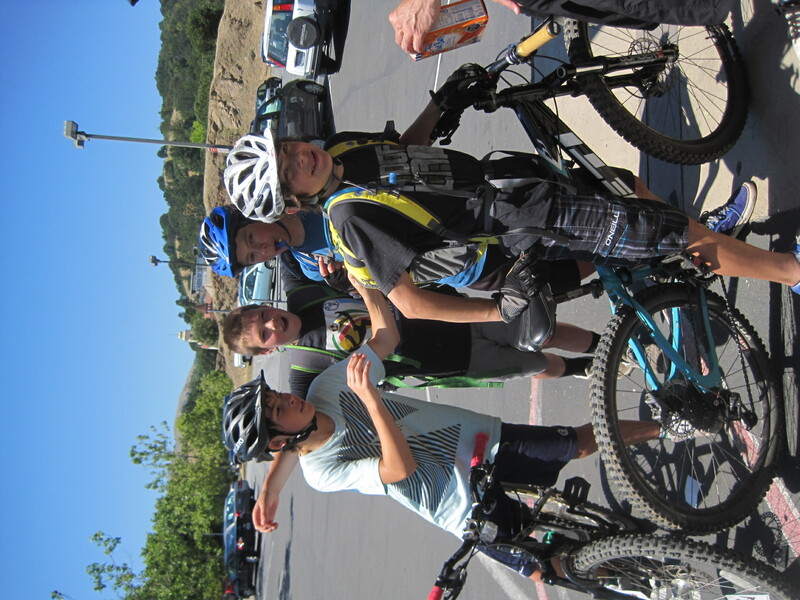 Fueling up for a school’s out reconnaissance ride. We shot the breeze, and I shot these pictures. I didn’t inquire where they hid the girls , but I sure wondered…they need me. whirling the card in a little circle for added emphasis. The whole gang at Cala Market. ~ by jacquiephelan on June 13, 2011.